Two guided meditations. 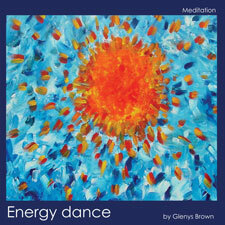 The Dance of the Colours – you bring your energy colours through your body to find your own colour signature. Energy Anatomy Exploration and Transformation – you travel through the different energy circuits in your energy field, moving from beta to theta state then into the consciousness beyond. These original meditations blend ancient wisdom and custom with modern scientific exploration.